This isn't exactly a fresh topic anymore but my excuse for not posting when the time was more appropriate is that I was too obsessed with getting the blog moved to here. Now that is out of the way, might as well post it now! Don't let his disguise as a backpack fool you! He is actually one of the elite soldiers of the Ash Legion and- ... Ah, who am I trying to fool here? 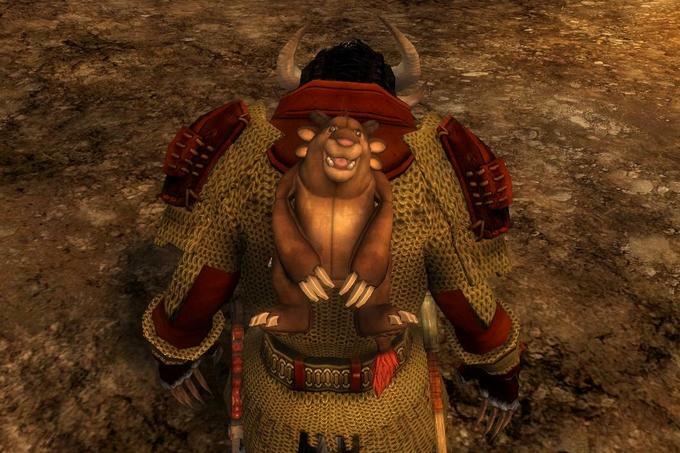 Ok, it is just a backpack in the shape of a charr. But he is still part of the new warband! Caecilia Cicerus, my human guardian, also decided to get someone to fight by her side. Or rather by her back as the case might be. Actually, she got her partner first and Caleb got his later. Details aside, you can see she has a fierce veteran of many battles watching her back. I mean, just look at the guy, one of his eyes is barely being held by a thread! With a someone like that fighting with you there is nothing to fear! Since I began playing MMORPGs I pretty much embraced my altitis. After all, what is the harm in having 1, 2 or a dozen more characters? They all provide different ways of experiencing the game world, after all. With Guild Wars 2 however I was determined to limit myself to only the 5 initial character slots. It was enough to have one of each race and by playing the betas I knew which classes I really wanted to play. That worked for a while. 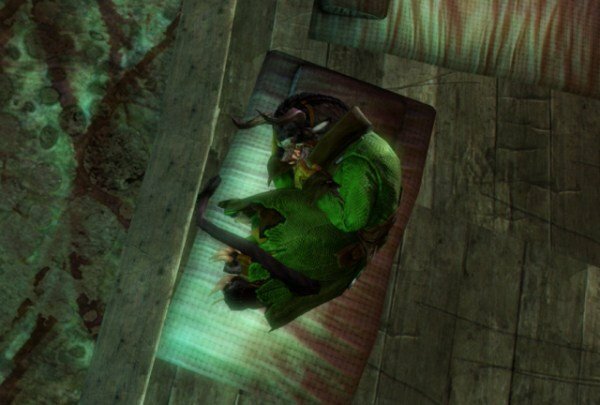 ...continue reading "[Guild Wars 2] When altitis strikes…"
... the elder dragons won? Let's assume that the elder dragons were actually unbeatable by any "lesser beings" and end up destroying everything in their path. So, what would happen? Would they then try to fight each other until there was only one? Or would they just shake hands, pat each other on the back, say "Good work!" and then go back to sleep? If I recall my lore correctly, there are evidences they already destroyed the world once (or came close to it). So I am guessing it would be the second option. But it certainly would be interesting if they were all competing for territory/food/whatever their motive is. It would be even more cool if we could actually take a seat and see some of them fighting each other! The fine folks at Nerdy Bookahs decided to do something really special for this Christmas season. 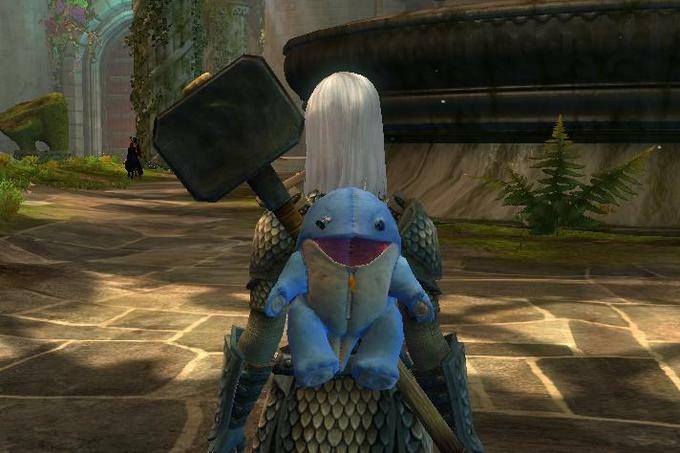 If you are one of the people who just got into Guild Wars 1 and are trying to get those 30 Hall of Monument points they will be giving away a bunch of stuff that will help out with that. For more information, including a list of the all the cool people who donate items for the give away, you can find the announcement post here. 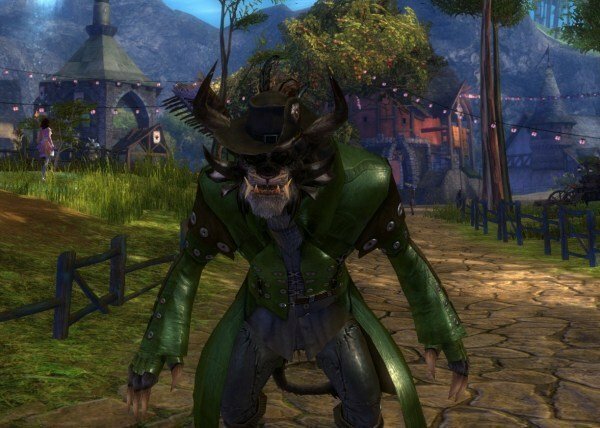 Author RakunoPublished on October 31, 2012 May 22, 2017 6 Comments on [Guild Wars 2] Kahlef dressed as the Mad Charr Doctor! And right at the last minute I complete this month's challenge from Ambermist, author extraordinaire of Tastes Like Battlechicken. As you can probably guess this month's challenge is what kind of costume your character would wear for Halloween! A long time ago, there was a charr of the Iron Legion whose job was to fix up all the soldiers that got wounded in battle. He was so good at it that soldiers could go back to battle in a very short amount of time. Of course, that also made him the first choice to send the injured soldiers to whenever it was possible. Since a life of charr soldier is always a busy, dangerous one, that meant the good doctor was always busy healing someone. One day he started to think "Why should I keep healing soldiers if they are only going to get hurt again and just end up here one more time? Why shouldn't I just go one step further and make them better so they don't get hurt so much?". With those thoughts he began working. At first it was just small things, just some small metal bit here and there under the skin. Things that his patients would only notice because of the strange pains they felt, despite the doctor guarantees that they were fine and had not to worry about. Soon enough though he started to experiment more substituting limbs with entire mechanical creations (that didn't work) or body fluids with his own alchemical creations that killed his patients. It didn't took long for the powers-to-be in the Black Citadel to find out about those experiments. However when they did, it was already too late. The mad doctor had run away to never be captured. They say that to this day he is somewhere in the lower levels in the Black Citadel, hiding in forgotten places. The doctor stalks those places trying to capture any charr that dares to venture there... or even non-charrs. Pretty much any living thing that he can capture will be dragged back to his lab where he will "improve" on the subject. Some times the grotesque corpses of his failed experiments can be found in the poorest parts of the Black Citadel. Some times it is even hard to know what it used to be. But some times his experiments succeeds.... and if you walk around alone in the night you may see the Mad Doctor running with his new creation looking for more victims to experiment on. And that is it for now. For everyone that celebrates it, I hope you are having a great Candy Day! For those who don't, I hope you have a great Wednesday, with or without candy! 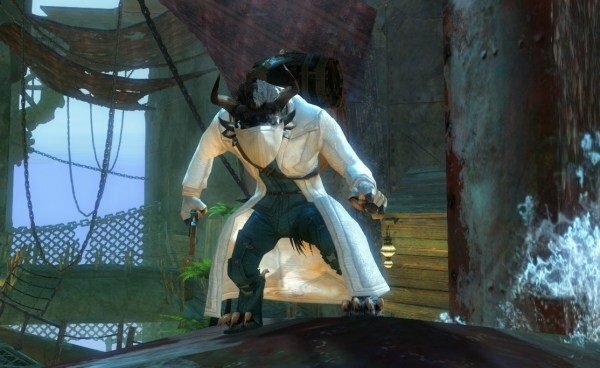 Published on October 31, 2012 May 22, 2017 Categories Ambermist's Challenges, Guild Wars 2Tags Guild Wars 2, GW2, GW2 Kahlef, MMORPG6 Comments on [Guild Wars 2] Kahlef dressed as the Mad Charr Doctor! Author RakunoPublished on October 22, 2012 May 22, 2017 6 Comments on [Guild Wars 2] The big ding! Now that I am 80 I can sleep all day, right? So, yesterday I finally got Kahlef to level 80. I also got him to 400 leatherworker so I guess it is two big dings at about the same time. I admit I was pretty slow at leveling him as I took a few breaks from the game here and there or just went to play some alts. Regardless of the time I am pretty happy for getting to this point. Still I feel like there is still a ton of things to do with him. To begin with, I only have 45% of the map explored with him. Heck, I haven't even reached Orr itself yet. The closest I got was its neighboring zone, the Straits of Devastation. If Orr is anything like that it will be both awesome and scary as hell at the same time. So, seeing Orr and getting World Map completion with Kahlef is one of my biggest goals right now. Another major goal with him is getting level 400 with his other crafting skill which is Huntsman. But I will get to those as I feel in the mood for it. Get all the minis. Gotta have 'em all! Get the commander book. Because I can. Published on October 22, 2012 May 22, 2017 Categories Guild Wars 2Tags Guild Wars 2, GW2, GW2 Kahlef, MMORPG6 Comments on [Guild Wars 2] The big ding! 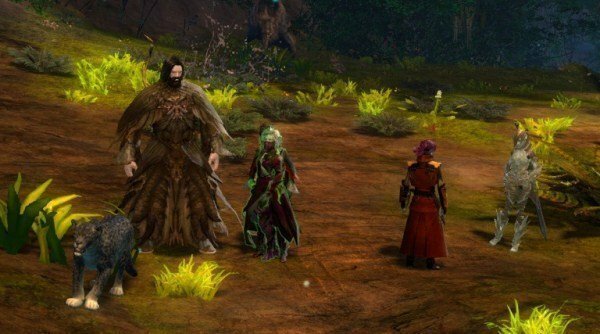 As pointed out by Siadine of Tryppin Tyria it seems that the site Guild Wars 2 Riches is going to be sold. That by itself isn't an issue and none of my business. The problem is the owner is also selling the mailing list of all those who subscribed to his site without giving any warning whatsoever about it. There is absolutely no way to know what the new owners will do with those e-mails. So if you subscribed to his newsletters the best advice I can give is to try unsubscribing to it. I don't know if it will do much good or if it might be too late. To all my readers and friends, I deeply apologize for this. The site has been deleted from my blogroll already and from now on I will be avoiding adding those kind of blogs to my blogroll. I am making an exception to Guild Wars 2 Trading Post since it is already there, the owner seems to be a decent fellow and it still provides good tips. I will be keeping a close eye on his one too, just in case. Once again, my deeply apologies for this mess. And just in case someone thinks I am making this up, you can see the site for sale here. Notice the line about the mailing list as a "feature" for any prospective buyers. EDIT: dolada06, the owner of the Guild Wars 2 Riches site, made his defense on the comment section of this post, including a link to his site where he goes into further details about this. I think I already made my stand on this whole issue pretty clear both on this post and in the comments section. I am also taking out the Guild Wars 2 Trading Post link off my blogroll as there seems to be some drama going on between both sites that I'd rather not associate myself with, nor get any of my readers or friends caught up in the crossfire either. This will also be the last I will talk about this whole mess. From next post on we go to our irregular ramble. Author RakunoPublished on September 17, 2012 May 22, 2017 14 Comments on [Guild Wars 2] Ascalonian Catacombs conquered! So, yesterday me and some guildies finally completed the story mode of Ascalonian Catacombs. Or perhaps I should say I finally completed it since the others already did that on Friday. I am getting ahead of myself though so let me just give a forewarn about a few details about this post: I am making it purposefully vague as to not spoil things for anyone who didn't do the story mode of Ascalonian Catacombs yet. Also, the lack of screenshots is because the dumb guy here forgot about it in the middle of everything. I am specially sad about it because I wanted a screenshot of our group (aka "Team Green") once we beat the dungeon. I also forgot to take screenshots of the Lovers for Siadina of Trippin Tyria as she requested in one of our talks in her comments section. Apologies for that, Siadina! If it makes anything better, the Lovers' fight is pretty cool as well as their dialogue but their appearance isn't that big of a deal. ...continue reading "[Guild Wars 2] Ascalonian Catacombs conquered!" Published on September 17, 2012 May 22, 2017 Categories Guild Wars 2Tags Ascalonian Catacombs, Guild Wars 2, GW2, MMORPG14 Comments on [Guild Wars 2] Ascalonian Catacombs conquered! 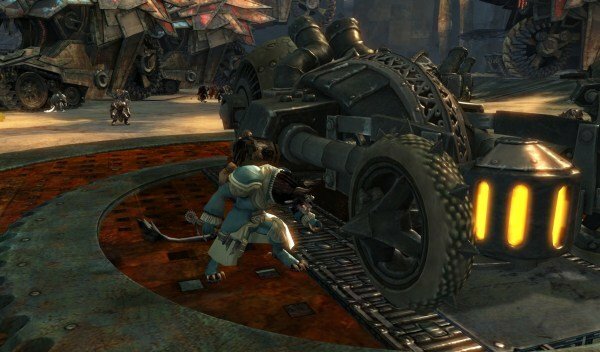 ...continue reading "[Guild Wars 2] Justifying the off-beat route with the races and profession combinations"